"Midlands Mobile Disco Specialising in Weddings"
Welcome along to Surround Sound, - a Midlands based Mobile Disco provider. We also do Nationwide through out the UK at competitive prices. 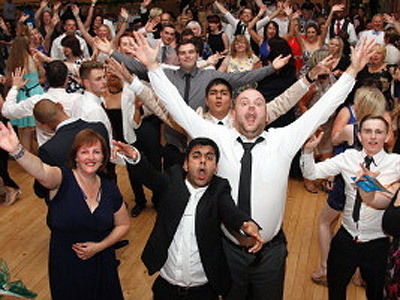 We at Surround Sounds specialise in all Mobile Disco needs including Christmas Parties,Birthday Parties which would include all the big ones like 16th,18th,21st,30th,40th etc,Wedding Discos,Graduate or School Prom Nights, Anniversary Parties,Retirement Discos,Boogie Night Discos,Theme nights,Fancy Dress, 80s or 90s Discos and Corporate Discos.You name the type of Party and we will cater for it.Our Mobile Disco rig is completely adaptable to suit any venue or Party and we play the Music at the event to suit those attending the function. We are a family run business ,So we take great care and pride to what we do and achieve the very best for all our customers.I have been djing for 15years with a proven track record and done well over 1700 Discos.i have done Kids Parties to large venues all around the Midlands and many other parts of the UK.I have a large range of Music from the 50s to current pre-release tracks that are being played on the radio and digital music channels.I also offer a free text service.This can be used during your event.My text a request number appears on a scrolling coloured LED screen along with any other messages that you would like displayed. Guest simply text their request and I'll play it! Required by many venues, Surround Sounds Discos has a current PLI policy with SAGIC in the amount of £5 million. Also required by many venues, Surround Sounds Discos has supplied satisfactory evidence of holding current PAT inspections of their equipment dated within the last 12 months. A Method Statement, outlining Surround Sounds Discos&apos; Health & Safety procedure for setting up disco equipment has not been supplied. Why do people choose to book Surround Sounds Discos? Great process - made my life a lot easier! "Excellent dj, very professional, not too chatty on the microphone (which was exactly what we were after). Really pleased with the service they provided. We would definitely recommend them. " 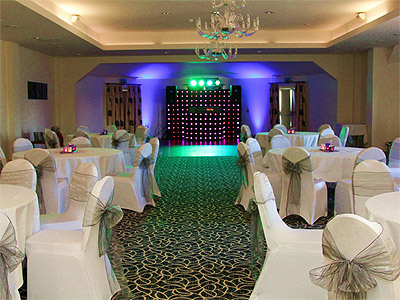 "Many Thanks for your kind comments"
Surround Sounds Discos also offers a range of additional party services not directly linked to musical entertainment. If you are contacting Surround Sounds Discos about an event, it's always a good idea to include the DATE, LOCATION, EVENT TYPE, AGE GROUP and TIMINGS to speed things up!